For the last eighteen years Shane Hayes has serviced and maintained our Biocycle, during this time we have found him to be professional, knowledgeable and always available when needed. We have absolutely no hesitation in recommending his services to anyone. Shane is on-time, professional and leaves no mess behind. He is always helpful and very knowledgeable. Our biocycle water treatment system has been maintained by him for over 8 years and we intend to stay with him for many more years. I would recommend him to any potential clients. Shane has carried out the maintenance of our home sewage system for the past 18 years and we have always found him to be both professional and courteous. On the rare occasions that we have needed service urgently, Shane has always done his best to resolve the problem as soon as possible. We have recommended Shane in the past and would continue to do so. I would not hesitate to recommend Shane for all biocycle servicing and installation. Shane installed my biocycle 8 years ago and was only too happy to meet and discuss how the system works and instil his knowledge on effective running practices of the unit. Aquakleer have been servicing my biocycle ever since in a professional and hassle-free way. We recently had two “Bio-Cycle” systems installed at Wattle Gully Retreat near Maleny. The workmanship and attention to detail by Shane Hayes were of the highest standard. All other drainage, plumbing and gas fitting was done with minimum of fuss and to our total satisfaction. We would recommend Shane Hayes to anyone requiring plumbing or gas installation. Thank you, Shane for a job well done. 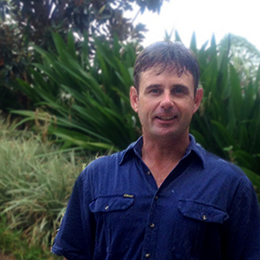 Shane from Aquakleer installed our treatment plant in 1998 and has serviced and maintained our unit ever since. Shane has always performed the services regularly. Whenever our unit has broken down, Shane has attended our call & concern promptly. He has always explained and rectified any problems with a professional approach. I would recommend Shane from Aquakleer to any of family or friends. Shane has maintained my Biocycle for seven years and has always kept it in excellent condition. In all my dealings with Shane he has dealt with me in a businesslike and friendly manner. I have found him to be reliable, trustworthy and prompt in follow up action. I have no hesitation with recommending his services. We have been using Shane's services for the past 15 years now. We are extremely happy with his prompt and efficient service and helpful advice in managing our biocycle. He has always kept it running very efficiently, for which we are very grateful. He is always professional, genial and very courteous and it is a pleasure to deal with him. We cannot reccommend him highly enough. Shane has worked on my Biocycle since 1995 performing the quarterly services. Since then I have been very happy with his service. He is friendly and reliable and has always responded to my calls promptly. My Biocycle has been very well maintained. AquaKleer has been taking care of all our recycled sewerage system needs: on one property for 15 years, and on another property for 8! Shane and his company have been brilliant – they are totally professional, very organised, great communicators and honest. Pumps, pipes, systems and layouts..they know it all. We highly recommend AquaKleer, and wouldn’t use anybody else. Shane has been servicing our bio cycle system for 7 years. He is punctual, professional & to date we have not had any issues with our bio cycle, due to the regular maintenance contract that we entered, We would recommend his services to anyone with a bio cycle system.